It’s a safe bet that nobody from Goodyear, Firestone, Les Schawb or other tire sellers and manufacturers could imagine that one day tires would form the basis of incredible art. There is a glut of tires in the world. They wear out but exist in a useless, worn out form. We pay disposal fees and forget about them. Old tires become the stuff of billowing, smoky tire fires. They are made into sandals and welcome mats. Used tires have multiple uses but that’s what I thought up off the top of my head. So why not art? Their material usefulness and ability to be repurposed is proof of this possibility. I became conscious of Tire Art last year. As I was riding my bike to work through the St. Johns area each day I would vary my route either to find a quicker way or as a means to break up the monotony. One route delivered me to a dead end. In front of a house sat two tires one of which was painted. The combination of paint and tire is sometimes, but not always, a sign of Tire Art. It made me consider the tires way up on Columbia Blvd., planted in the dirt and painted. I think there were flowers inside. I’m still searching for the best moment to capture the essence of this display with flowers in full bloom and the tires painted and shining in all their sunlit glory. There will be a second post. There’s only so much tire art any one can digest at one time so I’m keeping the portions small. 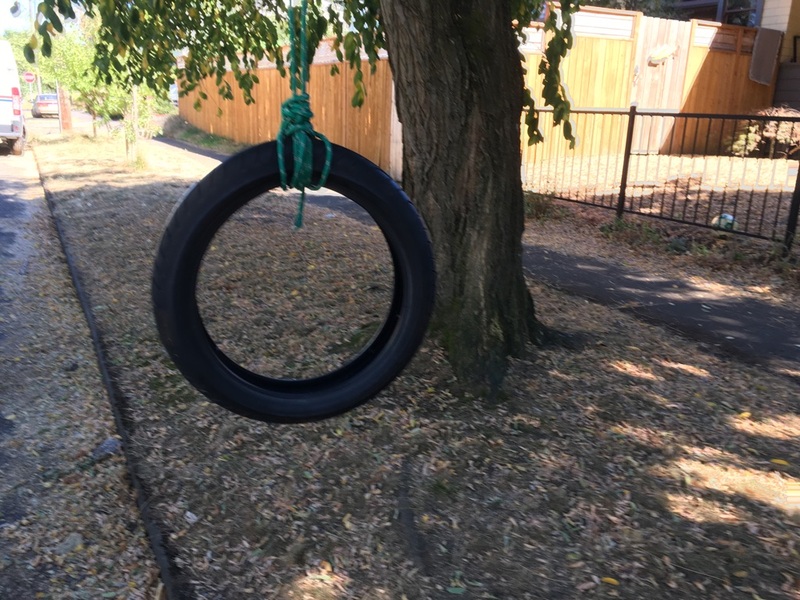 To offer greater perspective on Tire Art, allow me to present the classic tire swing. It seems timeless and true, harkening back to a bygone era, mind you as you are all probably well aware, it has nothing to do with actual Tire Art. But when a tire is chopped up and restyled, this reimagination is a transformative art form. 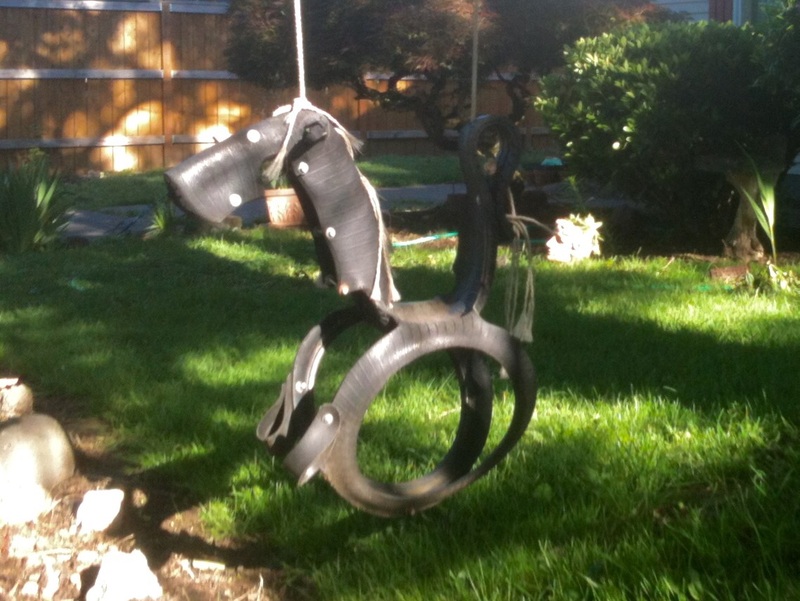 At this point the tire serves double duty but mostly remains Tire Art until it finds itself in use as a tire swing . Off North Williams I found a painted tire being used to form the basis of a combination wishing well and mail box. This piece is hitting on many cylinders with that winning and functional combination. It helps that the tire incorporates a faux brick finish and a flower arrangement. I’ll have the five stack. A desperate attempt to glean some semblance of Tire Art can be found in this photo of a stack of tires. There’s paint but the haphazard application is more slap dash than abstract. The only way you’ll get Tire Art from this piece is through a hefty dose of imagination. I tend to take pictures and analyze later as I’m excited to see tire arrangements whenever I can. This is a nice stack with color flourishes, but no amount of photographic trickery could up the art quotient. The business on Lombard Street is known as The Tire King for a reason. 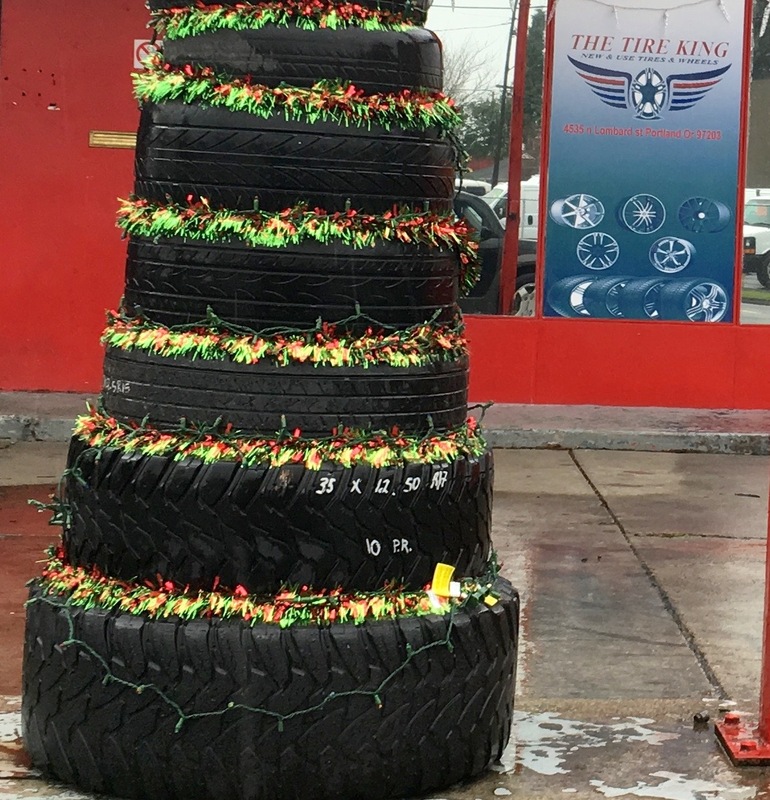 If nothing else, they’re the king of Tire Art. They’ve displayed tires in many different ways but this set up caught my eye with it’s use of lighting and multicolored garland. 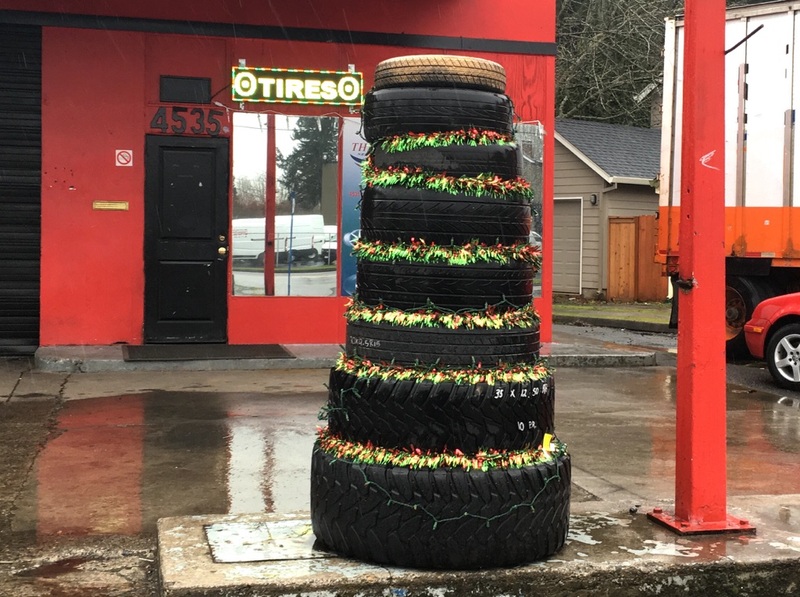 It’s festive, cake shaped and an artistic way of creating a sculptural tire advertisement. 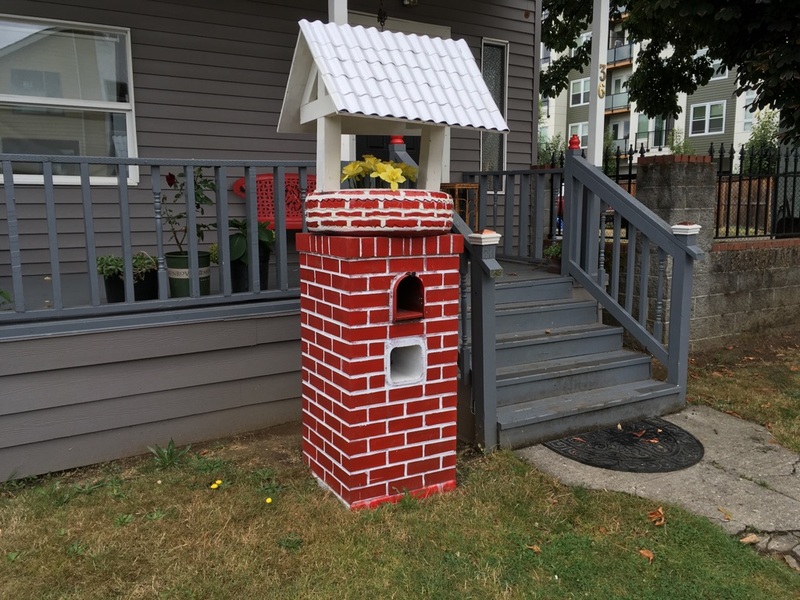 This display created excitement by simply being at the top of my street in the Kenton neighborhood. 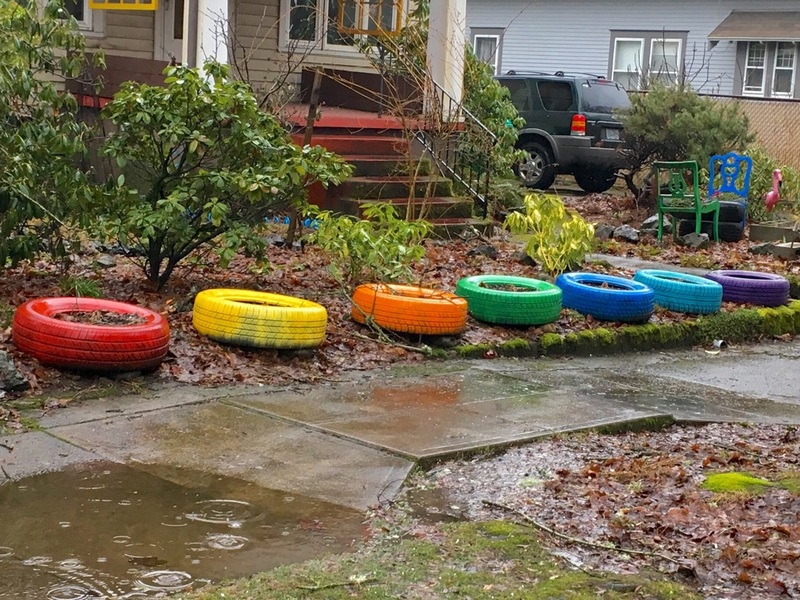 It’s Tire Art close to home offering rainbow bright colors, though not quite in ROYGBIV order. 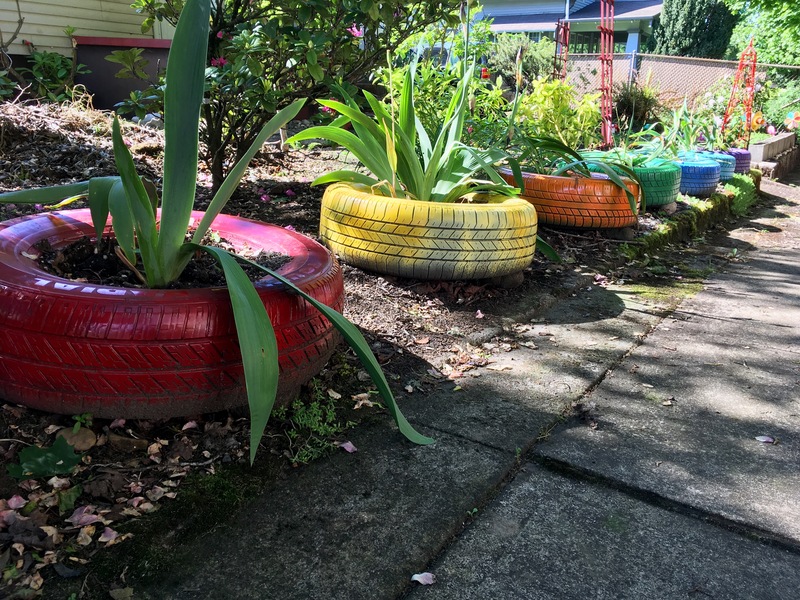 These tires brighten up landscaping and are now doing double duty as planters. This display truly hits on many of the tenants of high Tire Art involving paint and imaginative arrangement. Part two of our Tire Art series will run next week as we wait for the photos to get back from the developer.